Today, Automotive News reported that Dodge is recalling every single flippin’ Hellcat model—both Challenger and Charger, to be clear—released so far. The issue arose when a dealership discovered a fuel leak during a delivery inspection. While no customers have reported any issues, Dodge doesn’t want to take any chances when it comes to its high-performance beasts that have been dropping jaws since they debuted last year. In total, 2,211 vehicles are affected. A whopping 2,012 of those are here in the United States, while 148 made it to Canada (who knew Canada had balls big enough to take on a Hellcat?). Another 30 are located in Mexico, and just 21 have unleashed their fury outside of the continent. 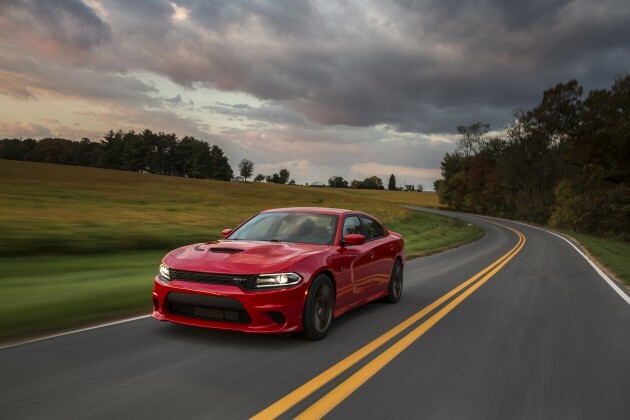 If you own a Hellcat and have some questions, you can reach out to Dodge at 800-853-1403, or just wait patiently until you get a Dodge Hellcat recall notification in the mail. And if you’re the old grump who put together the “7 Commandments for Dodge SRT Hellcat Owners” video, then I expect another video expressing your dissatisfaction with Dodge on this one, on my desk by 9am Monday morning. And it better be the most sexist, vulgar video you’ve ever done. I know, it’ll be hard to top, but I believe in you.